5 Reasons Why Your Blog Isn't Making any Money? Home » 5 Reasons Why Your Blog Isn’t Making any Money? As a new affiliate marketer you may be wondering, why isn’t my blog making any money? 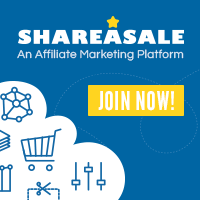 You followed that affiliate marketing training course that promised you’ll start making money immediately after going through their program, but the reality of affiliate marketing is that you won’t make money overnight, no matter what they promise. It takes time, energy, the right products people are searching for, writing high quality content -and lots of it, good keywords and patience. On average it takes anywhere from two weeks to a month before a new blog is even found by the search engines, and about your content, for new content to be seen and readers to engage with it, that can take a week to two weeks. That means it can easily take 2-4 weeks before you start making sales on a product. Buck up, buttercup. Affiliate marketing and blogging is a business, and not a hobby. If you want to make money you gotta be in it for the long haul. Quora reports there are about 152 million blogs in existence, so you are competing against a lot of real estate to be found. How many of those blogs even make money? About 95% of blogs make zero, nada, zilch! If you’re making any money from your blog you are already ahead of 95% of the blogs in existence. That in itself is something to be proud of. John Chow, one of the most prolific bloggers, started blogging around 1998. He reported that he made almost no money for the first two years, and most new bloggers will tell you their blog made nothing for the first year. I must be way ahead of the game. I read everything I could get my hands on from the who’s who of blogging and affiliate marketing when I first got started. It took me a month before my blog was even found by the search engines and about 3 months before I made my first sale. My second sale came about a month later. If you’re expecting to make a full time income in less than a year, like so many charlatans hawking push-button software claim you will, I’ve got a bridge to sell you. These hucksters are not making money with a quality product, they are making money by separating yours from your wallet. Now that we have established that it takes time before your blog will make money, Here are the 5 things you need to do to start making money online from your blog. If you are not following these steps, this may help answer the question – Why Isn’t My Blog Making any Money? Before you can even start making money with a blog promoting affiliate offers, you have to get your blog found in the search engines. A new blog is virtually invisible on the internet until it is indexed by the Googlebots, which is a process of how Google finds and indexes new content in the search engine. Depending on how often the bots are looking for new content to index, the URL of your website, quality of your content and the keywords you are ranking for, and other proprietary factors Google uses will determine how quickly your content is indexed, and your blog and content are visible and which page it will be found on. For a new blog, it can take anywhere from two weeks to three months before your blog its content are found in the search engines. If you’re new to blogging the key is to continue to write and produce good content everyday, and over time your content will be found. The days of affiliate marketing where bloggers could throw up poor quality thin content and the sales would role in are over, and have been over for some time now. People today searching the internet to research products to buy, or to find answers to their issues have become much more savvy consumers of information over the years. If they feel the goal of your content is just to make a sale, they will click away never to return. Also, Google and other search engines want marketers to create high quality content, and have developed algorithms that identify poor quality content, via such metrics as – how quickly readers click away from your page or how long they stay on your blog. If the metrics identify poor results, your blog and it’s content risk being downgraded, deindexed or delisted, all of which can make your blog invisible on the Internet and quickly drying up your sales. As an affiliate marketer your ultimate goal is make money from your blog, and you need to produce high quality content that first answers the reader’s questions or solves their problem, and second you want them to buy from you versus another website. Product reviews should be on average 1,000 to 2,000 words and articles should be a minimum of 500 words in length. How Searchable is Your Blog? When a reader comes to your blog, is it easy to navigate or is it difficult for readers to find the information they are looking for? 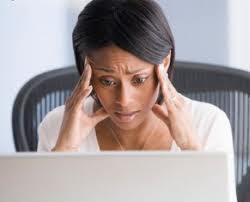 If your blog is not easy to search or navigate, this can affect your ability to make sales. Your goal is create a visibly pleasing blog that readers want to stay on, and is easy to navigate to find the information they want. If they can’t find the information quickly or with little effort, your reader will leave discouraged and will probably never return. Have someone visit your blog and look around for information. Where do their eyes focus their attention? Are they going where you want them to? How quickly and easily are they finding the information they want? Many blog themes today are created for affiliate marketers. They are already visually appealing and easy to navigate. Some have built in opt-in lists to build your list and a way to keep a list of keywords. 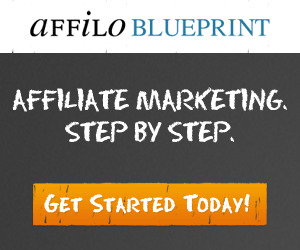 AffiloBlueprint, for example, is an affiliate marketing training program that includes a free affiliate marketing WP theme you can use on your blog with built-in tools to help you increase affiliate sales. Selling the wrong products is a common problem new affiliate marketers make, and this can prevent your blog from making money. If you have a health blog, but you are marketing Iphones or you are marketing cookware on your dog training blog, people coming to your blog may be confused about what your blog is about, or if you are an authority on your subject and may click away. If you are wondering why your blog is not making money, check to see if you are selling the right product. If your blog is about dog training, your blog should only be about tools, tips, tricks and products related to dog training, and not about Iphones, unless you are marketing an Iphone dog training app. I would recommend going through your blog and removing any products, articles or product reviews that are not 100% related to the topic of your blog. All future content must be related to what your blog is about, period. If you have a great blog, but no one can find it because you are not targeting the keywords your readers are keying in to find similar content, this may answer the question, Why Isn’t My Blog Making any Money? You need to ensure you are using and ranking for the relevant keywords your readers are keying into the search bar, and are the high value keywords found in the Google Keyword Planner tool. If you are not targeting and trying to rank for relevant keywords related to your article, it will be hard for people to find your article, and this will for sure affect how much money your blog makes. long tail keywords related to the product, such – “best dog training videos” or exercise equipment under $1,000. With a long tail keyword you get to use the popular target keyword, but when used in a long tail keyword you lower the competitiveness and improve your ability to rank for that word, and may help your blog make money. You want your target keyword in the blog post title, and must be in the first sentence. You want to have the product name and long tail keywords spread throughout your article. You should also have anchor text,which is the keyword with a link that takes the reader to the product site, spread throughout your article. I always recommend to see who else is writing on your topic or product, and see what keywords the writer is ranking for. Look for the top three articles in the SERPs (Search Engine Results Page) and see what keywords they are ranking for. You want to rank for keywords, using a variety of exact name and long tail keywords. If the product is sold on Amazon.com, see what keywords they are using. Amazon.com is the master at keyword variety to be at the top of the SERPs for that product. If the product is sold on Clickbank, check out the affiliate tools page, as the product owner will offer a variety of relevant keywords you can rank for in the product review or related articles. You can learn how to sell on Clickbank, and make money blogging. « Free or Paid WordPress Theme – Which Should You Use?